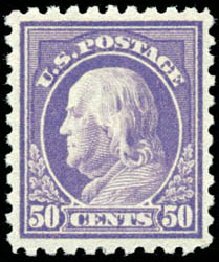 USA (Scott 440) 1915 FRANKLIN 50¢ VIOLET (JUMBO) Big copy, large margins. 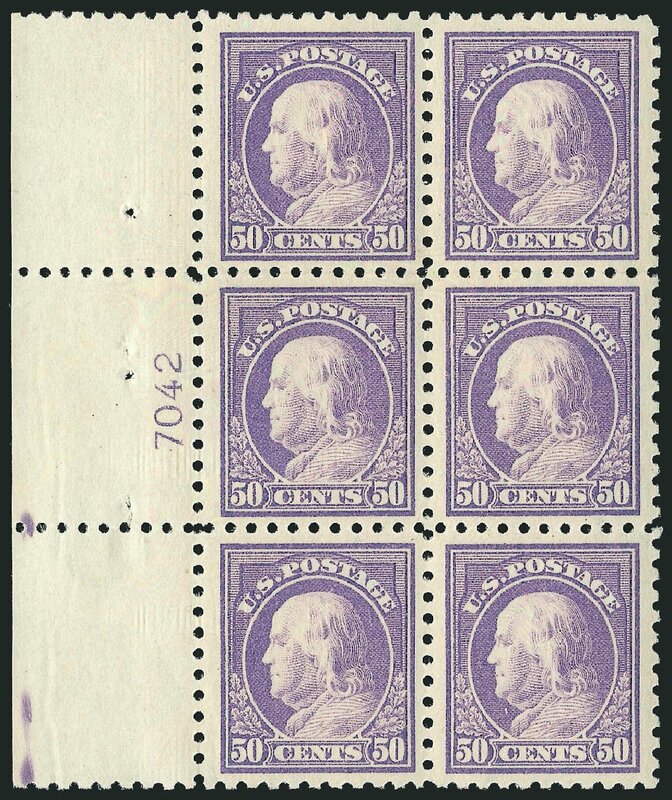 OG, lightly hinged, extremely fine. 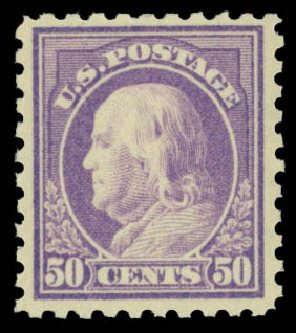 (2008 PF Cert #462796) Cat price $450. 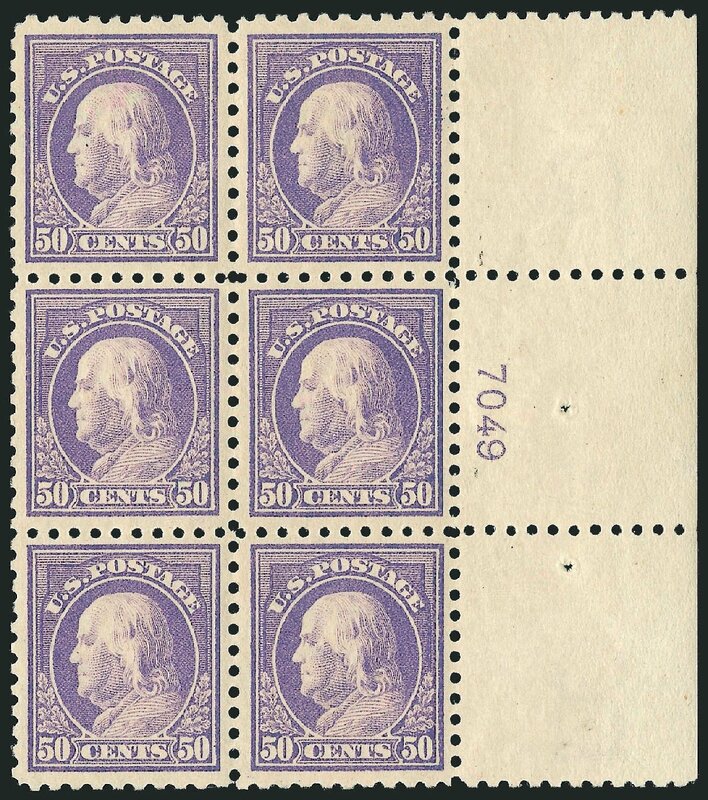 U.S.; General Issues, 1915, 50¢ Violet, #440, n.h., fresh rich color, Fine to Very Fine, PSE (2008) cert. Scott $1,050. Estimate price $260-300. 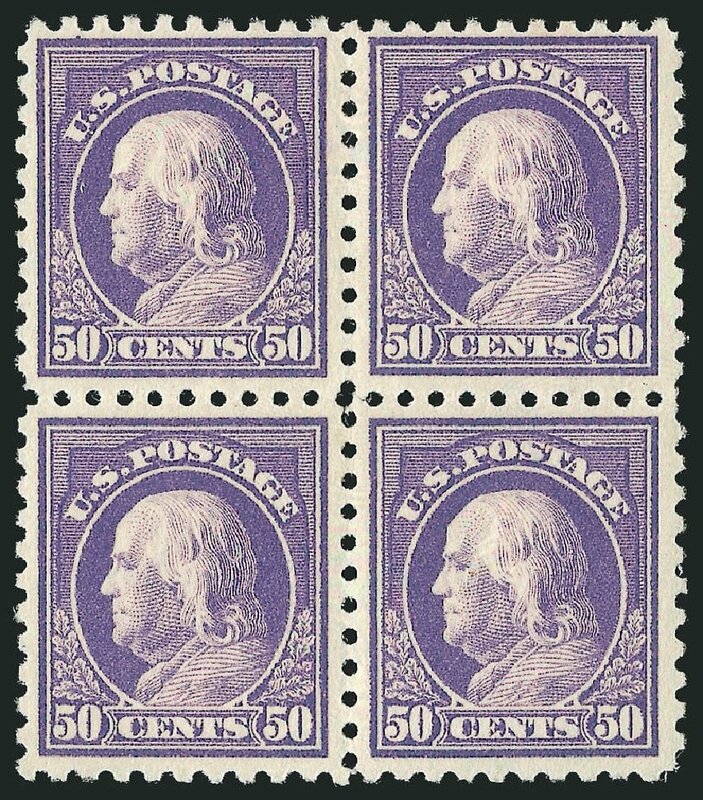 U.S.; General Issues, 1915, 50¢ Violet, #440, n.h., “tiny gum skips”, Very Fine, PF (1991), PSE (2010) certs. Scott $1,050. Estimate price $450-500. 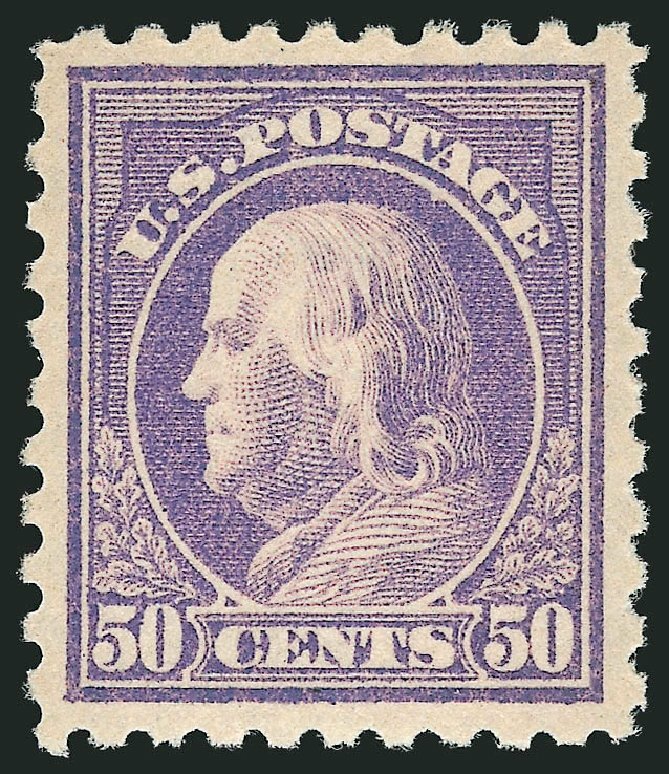 1915, 50¢ violet (Scott 440), o.g., lightly hinged, vibrant rich color printed on bleach white paper, a handsome well centered stamp, Very Fine to Extremely Fine, with 1980 P.F. certificate. 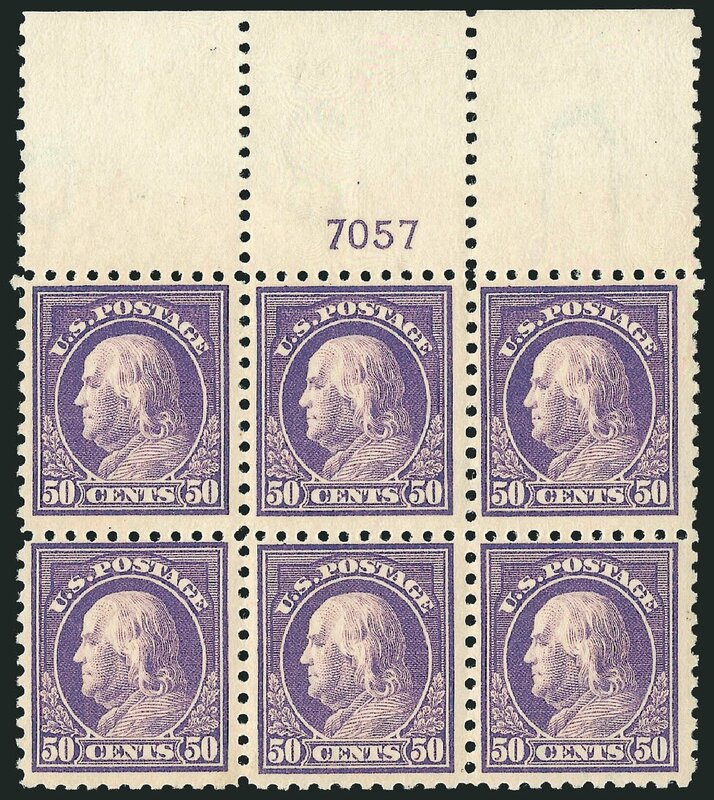 Scott $450. Estimate value $350 – 500. 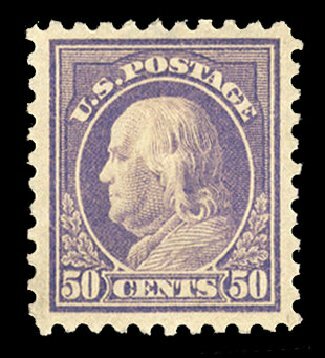 1915, 50¢ violet (Scott 440), o.g., previously hinged, bright color, a desirable example, Fine to Very Fine. 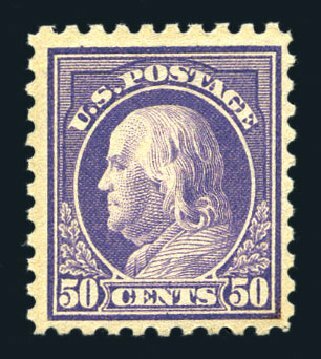 Scott $450. Estimate value $250 – 350. 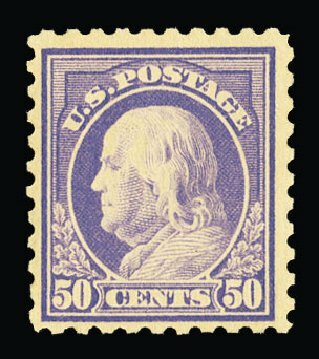 1915, 50¢ violet (Scott 440), o.g., never hinged, handsome and incredibly fresh example of this tough stamp, with exuberant color, select Post Office fresh mint stamp, Very Fine, 1998 P.S.E. certificate and a brand new 2015 P.S.E. 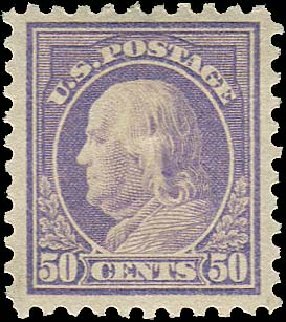 certificate graded VF-80 (1 of 4 examples attaining this grade according to PSE’s population report). SMQ VF 80; $1,050. Scott $1,050. Estimate $1,000 – 1,500. 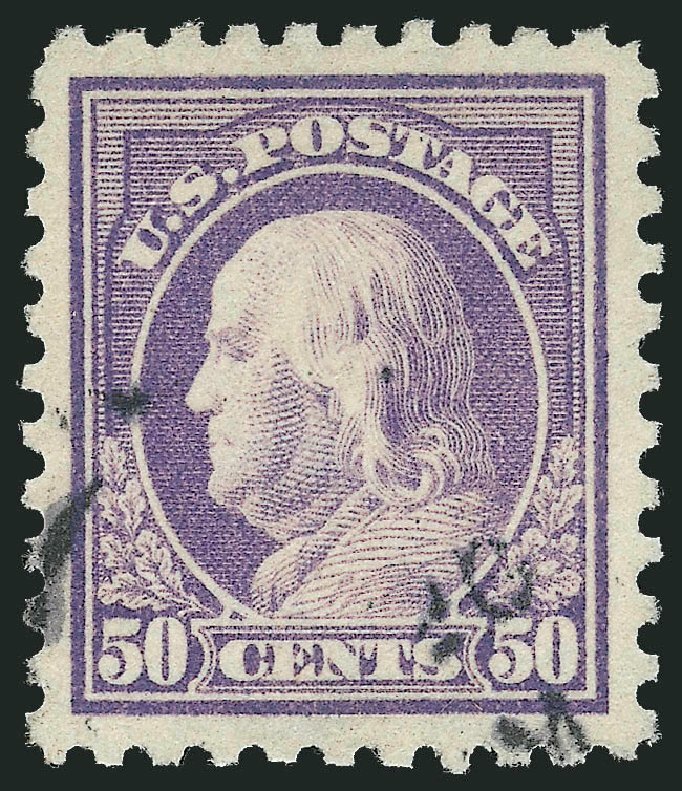 1915, 50¢ violet. 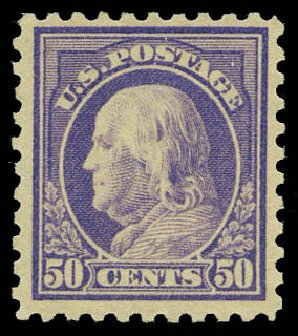 O.g., lightly hinged, rich color on bright paper, Very Fine and choice, with 1999 P.F. certificate. Scott No. 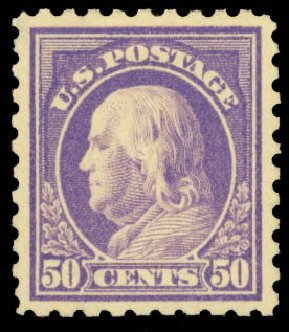 440; $450.